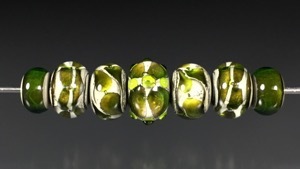 This set of 7 beads is from my colored Space Gem bead line. It includes three matched pairs. The earthy coloring comes from crystallized Silver. 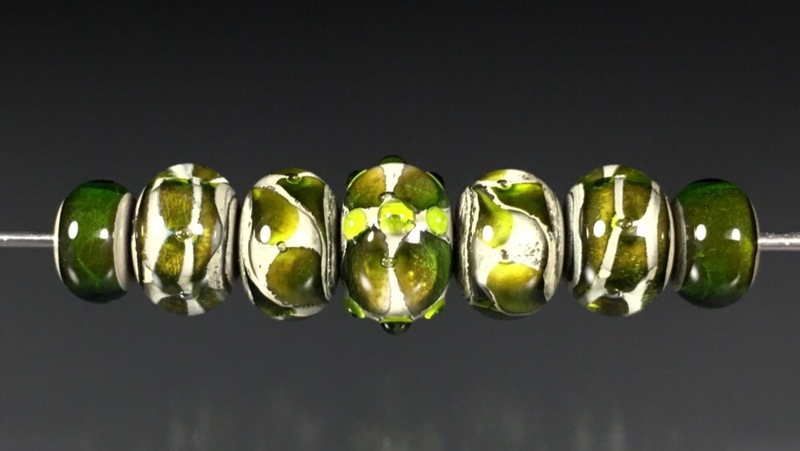 The green glass takes on a great earthy hue when used with this technique. The designs you see repeat around the circumference of each bead. My beads are properly annealed and cleaned with a diamond reamer. Pairs - 9mm x 13mm, 9mm x13mm, and 7mm x 11mm. 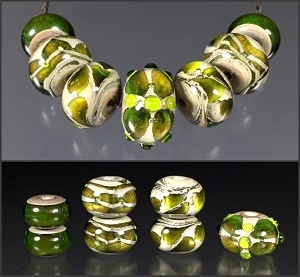 This bead set is made with Transparent Green and Silvered Ivory Glass. 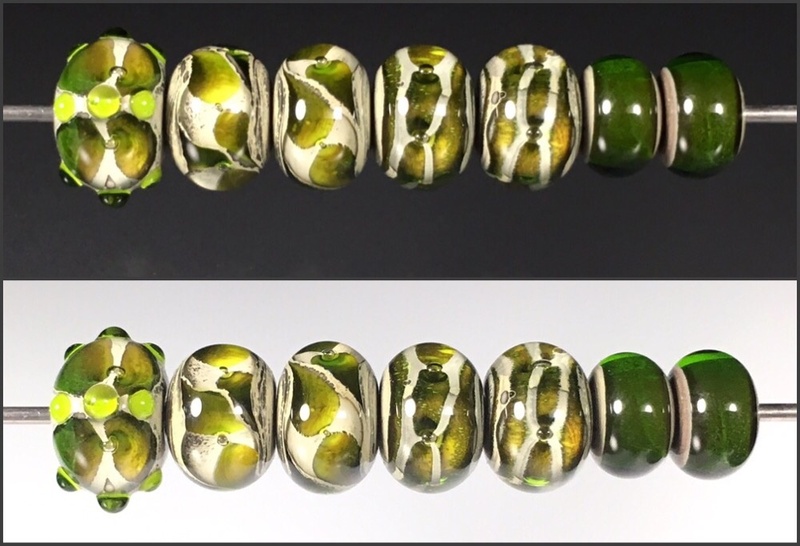 This is a set of 23 Green and Silvered Ivory beads. Clear layering gives these beads a lot of visual depth. It includes 11 matched pairs and tapers gently. My beads are properly annealed and cleaned with a diamond reamer.